No Need To Get Up Early...Our Black Friday Sale is All Weekend Long! Happy Black Friday! Don't worry about getting up early for this one! We want you to be able to enjoy the few extra days off with your family outside. 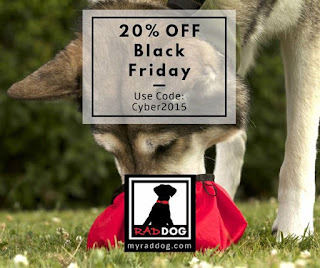 That's why you can join us online anytime between now and midnight on Cyber Monday and still get an incredible 20% off our entire online store at www.myraddog.com! You can #optoutside and still get 20% off outdoor gear for you and your dog. 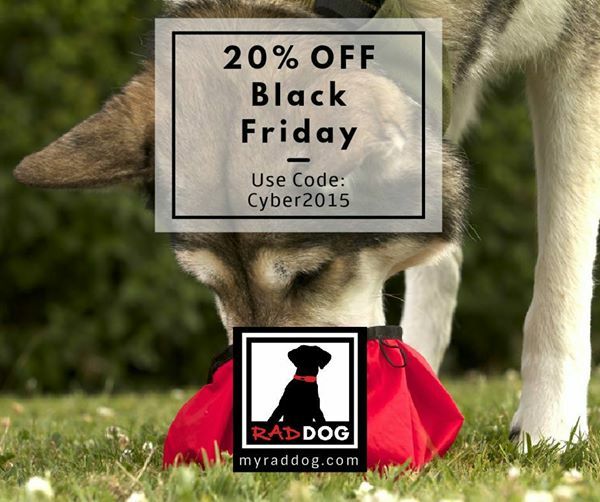 Just simply use the promo code Cyber2015 on our website and take 20% off your entire Rad Dog order...that means you can get a killer deal on our Release 'N Run collar and retractable leash in one for under $32! 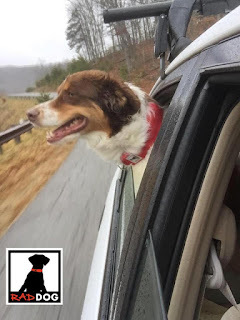 Spoil yourself with an enjoyable walk, run or hike with your dog this holiday weekend, and still get great deals on the gear to help you enjoy those outings all year round!